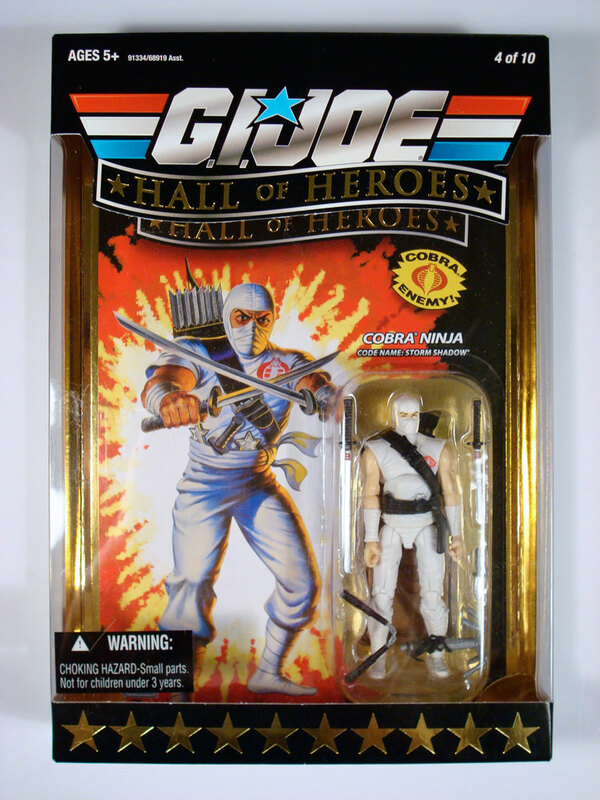 Finally, the Storm Shadow I ordered has arrived. 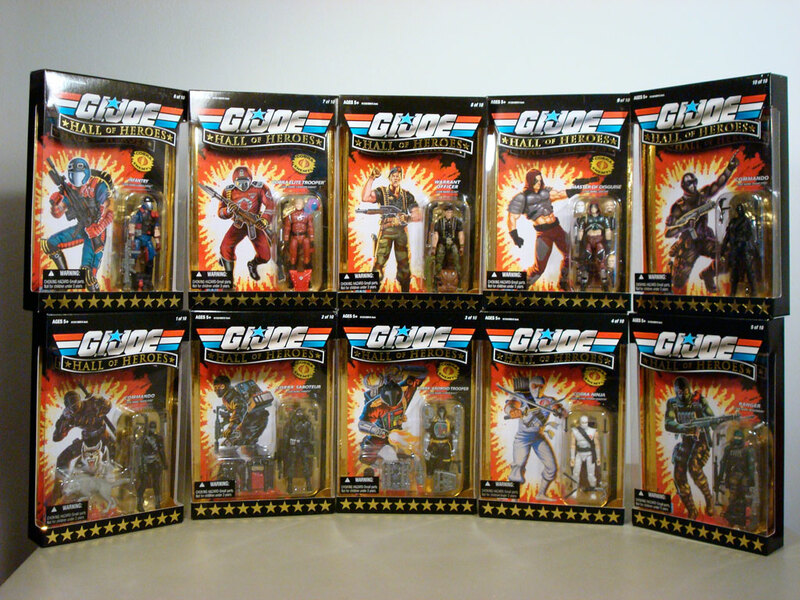 Thus my Hall of Heroes collection is complete. 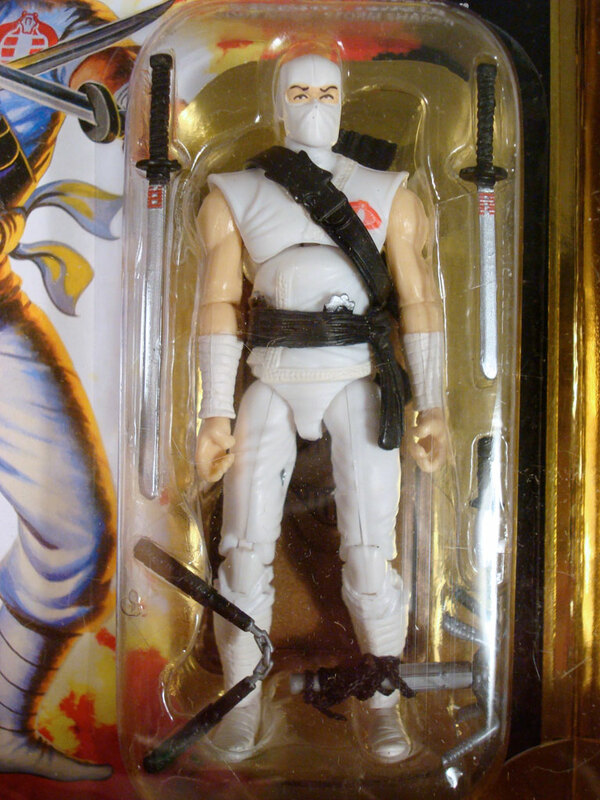 Storm Shadow (HoH:4) uses the same body construction as Storm Shadow (CBP#3); he doesn’t come with his bow, but does come with a grappling hook. 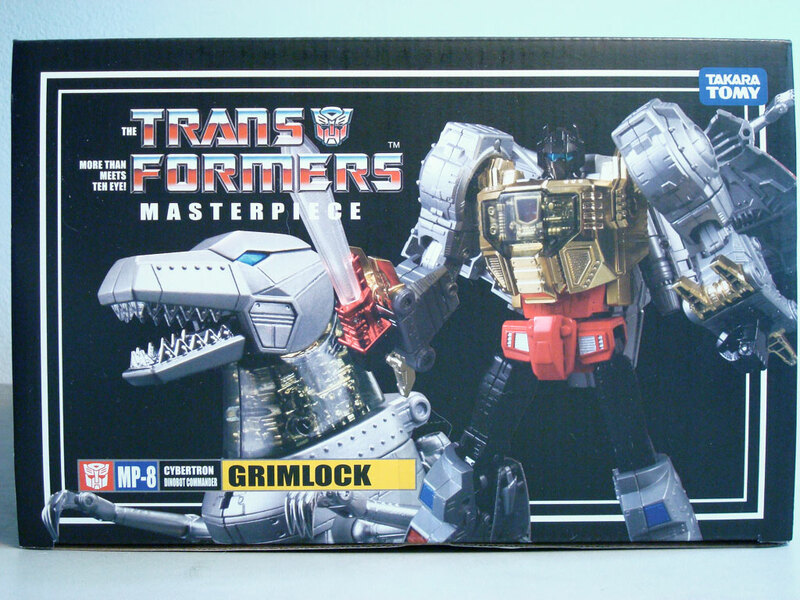 Just received my MP-08 Grimlock from bigbadtoystore.com today. Can’t wait to rip it open (carefully without damaging the box!) 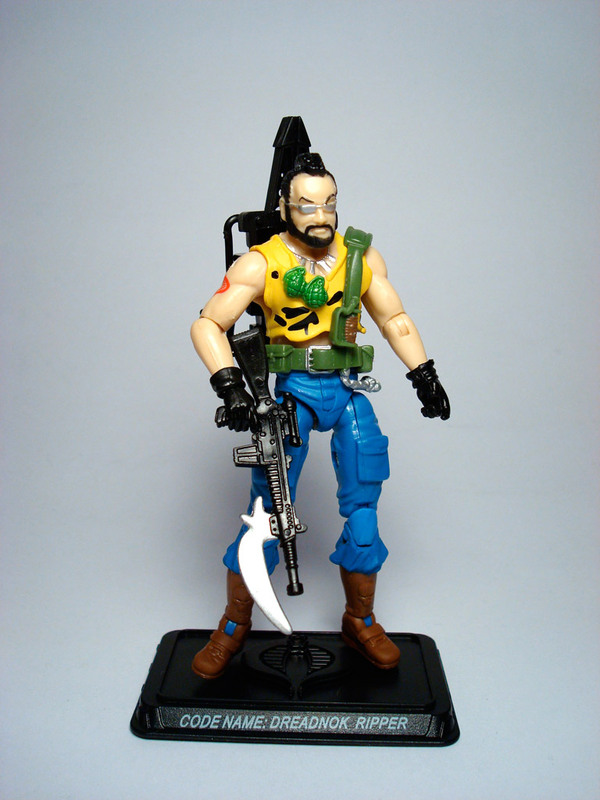 and get you good folk a review and some pictures of this mighty mighty toy. 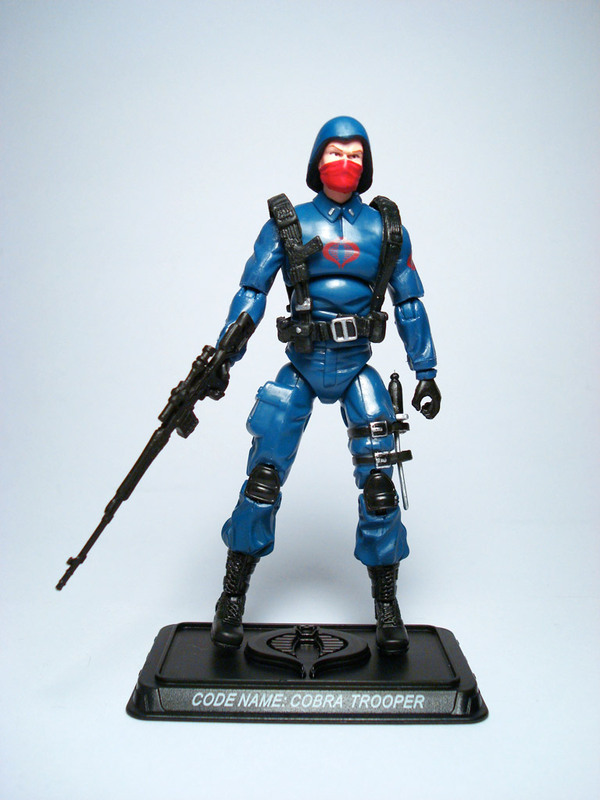 Another version of Cobra’s infantry trooper, this time with red sigil and red mask. 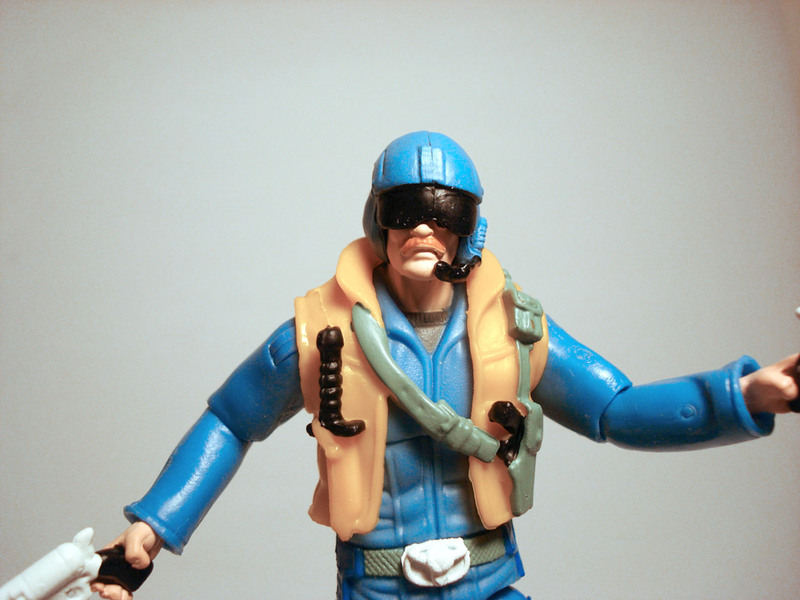 The blue uniform is also a deeper hue than previous versions. I had erroneously thought this trooper would come with molded hair beneath his helmet; unfortunately, this is not the case. A totally boring figure. Nothing new here since it is just a repaint of the comic-pack figure in uhm, more comic-y colors. It’s cool to get him on a card, but still all in all rather dull. 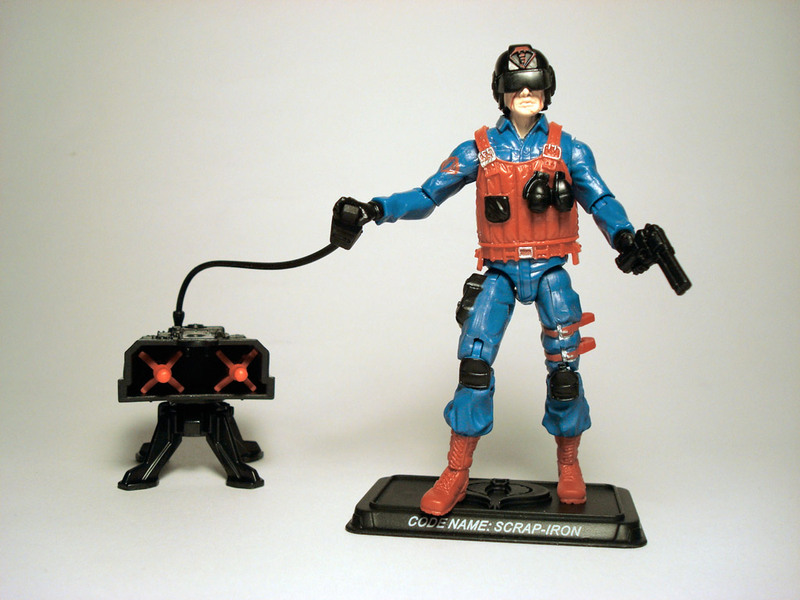 Tripwire makes his single-carded appearance in Wave 12; he initially was included in the Comic 2-Pack (w5) with Cobra Commander. 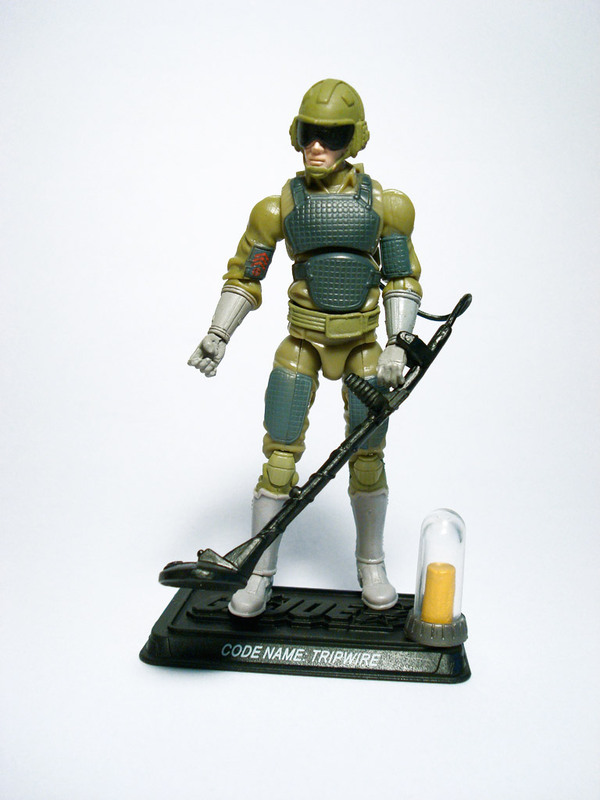 Unlike a straight repack, Tripwire has been packaged with a MASS element cannister. It is yellow to represent the meteorite element. This character does a fairly good job of recapturing the likeness of the classic version, though I would have preferred the smooth padding as it was adapted for the H.I.S.S. Driver and AVAC Pilot since that would have been more accurate to the classic figure. 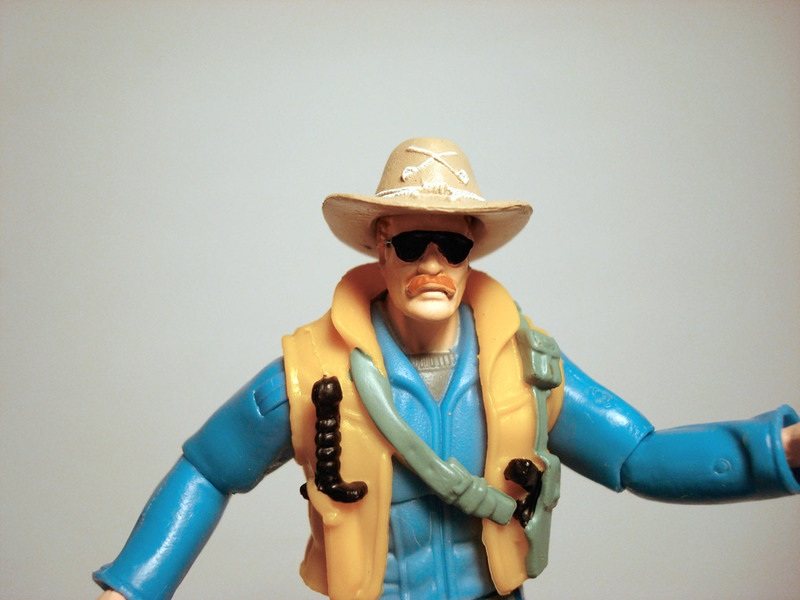 But a mere collector’s quibble means nothing as the overall figure is excellent. The MASS cannister my figure came with has a removable glass casing, though I’m not sure if this is meant to occur or if it is faulty manufacturing. Therefore I wouldn’t suggest trying to twist off the cannister’s casing. 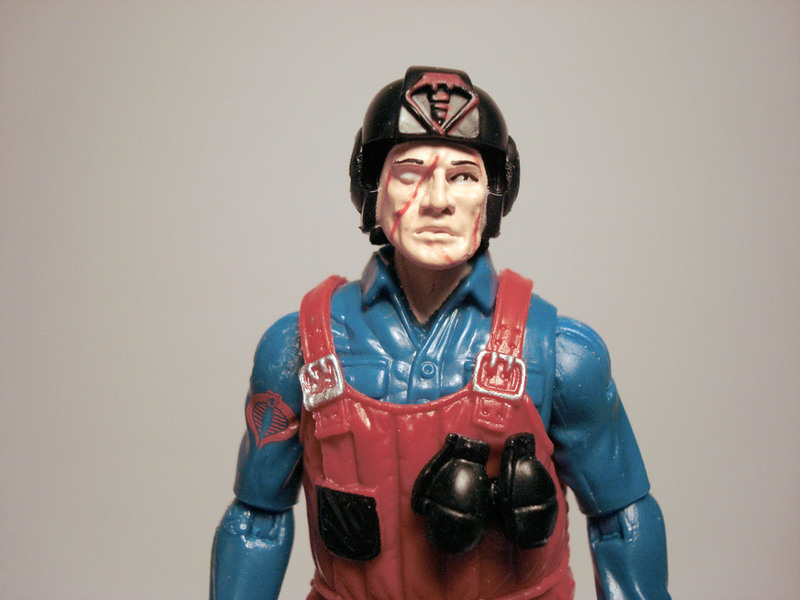 The inclusion of this accessory means that you can complete your MASS device, along with the cannisters that come with the Cobra Diver (w12) and Cobra Commander (w8, w12). 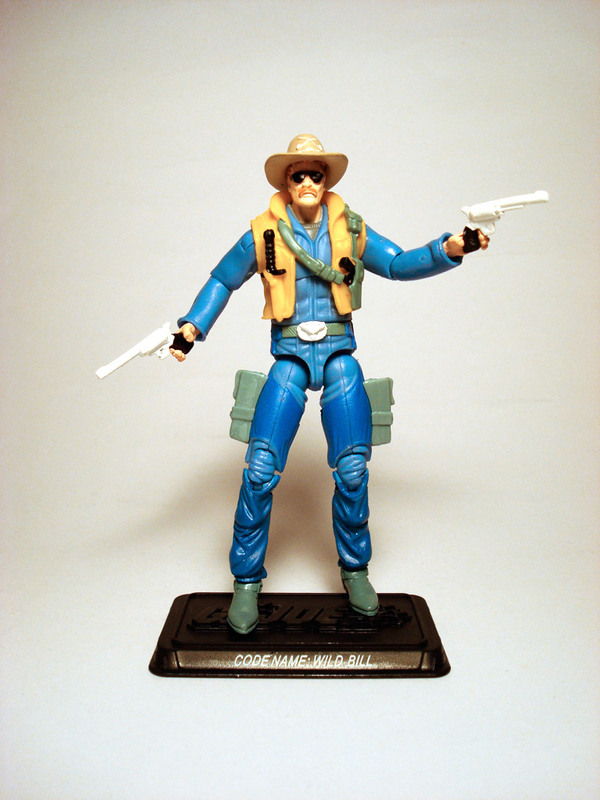 Just opened up my Scrap-Iron/Wild Bill comic pack, and here are the loose pics for your pleasure. Meanwhile, a brief glance at the comic reveals artwork that actually looks pretty good! Usually these comics feel light on story and art, so my expectations are low. The story has Wild Bill chasing after Scrap-Iron, and the novelty comes in the form of a narrative told solely through radio transmissions. It’s a pretty interesting gimmick, along the lines of the silent issue, but still a gimmick. It’s pretty much about what one would expect from the comics of these two-packs, but I’m not buying these for the comics.